The New Haven Normal School was the third such institution in Connecticut, the first being the New Britain Normal School and then the Willimantic Normal School. The creation of teacher training schools were a long time in coming to Connecticut. The legislature at the time had a reputation for being resistant to educational reform. Scholars and educators argued for the importance of training schools for years, but it was not until Gov. William W. Ellsworth pushed the General Assembly into action in 1838 that anything happened. Meanwhile in Massachusetts, the nation’s first normal schools were being operated, modeled after European examples. Ultimately the town of New Britain was chosen as the site for the first Normal School in Connecticut, which opened in 1850. The emergence of industry after the Civil War brought change to life in the United States and compelled Connecticut to begin the addition of another Normal School. Families abandoned agricultural life for employment in urban factories, and children were no longer educated at home. Children needed schools, and they needed teachers who were trained. In 1887, a second Normal school was opened in rural Willimantic. The New Haven State Normal School opened its doors on September 11, 1893 with principal Arthur B. Morrill. The school was housed in Skinner School, a two-story grammar school. Eighty-five females made up the first class. 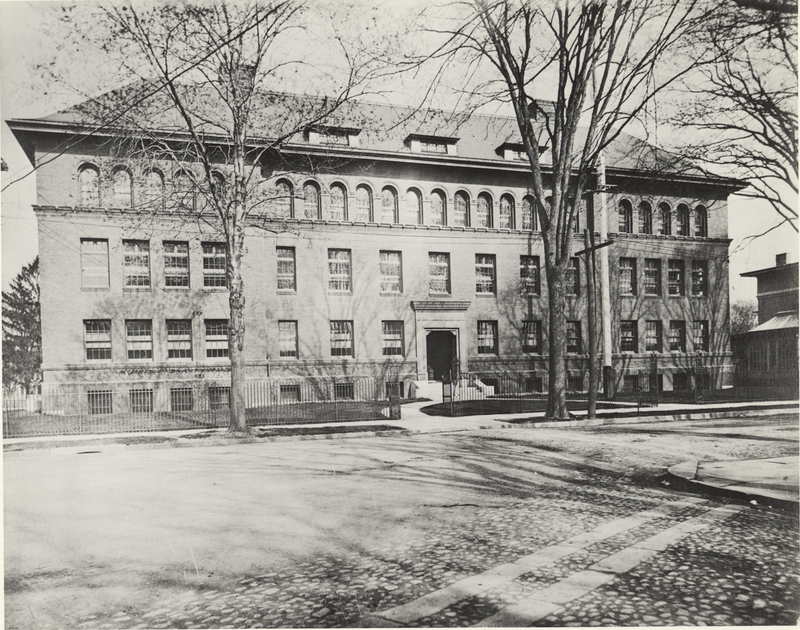 The New Haven Unit of the Teachers College of Connecticut changed dramatically in the first forty years, like Danbury and Willimantic it would offer a three-year curriculum in elementary education, the completion of which allowed its students to become certified teachers. For those seeking four years of college, they had the opportunity to transfer to New Britain for a final year and to earn a Bachelor of Education degree. The irony of the situation was that in reality, a fourth year had begun at New Haven. 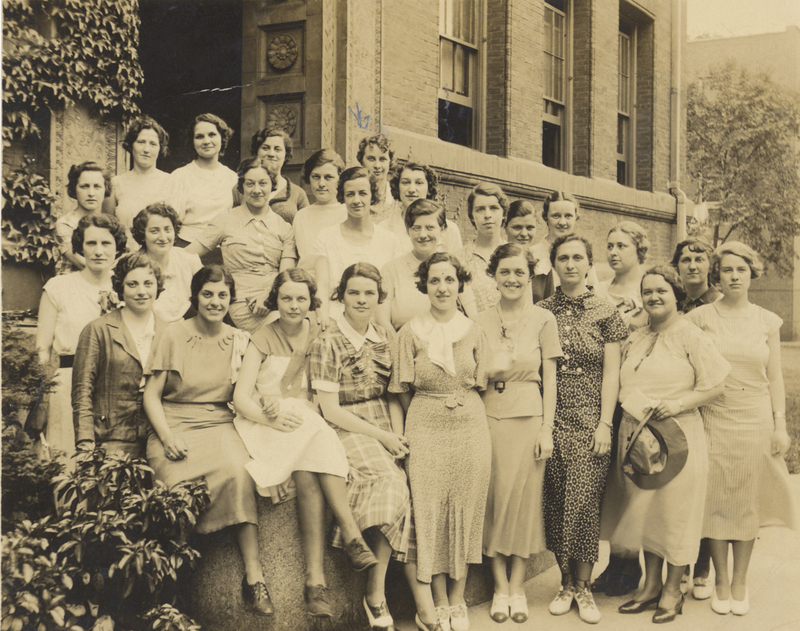 In 1934, the same year that the first fourth-year students graduated in New Britain, twenty-eight young women completed their fourth year at New Haven and received Bachelor of Education degrees, finishing their fourth year work in New Haven. Many never set foot in New Britain until commencement ceremonies. In 1937, prompted by concern from citizens, the General Assembly approved four years of study at New Britian, Willimantic, New Haven and the newest school in Danbury. The legislation also changed the name of the school, from its offical (if rarely used) name Teachers College of Connecticut, New Haven Unit to New Haven State Teachers College. Since it’s opening, principal Morrill knew that the Normal School would soon outgrow the Skinner School building. The New Haven Board of Education suggested a lot on the corner of Howe and Oak streets, notable for it’s proximity to three elementary schools- Welch, Webster, and Dwight. The school would have three stories and a high basement. Morrill directed the firm to build a toilet in the basement for young women and men, suggesting that men would one day be attending the Normal School. The school at 2 Howe Street would open on May 11, 1896, three years after construction began. The newly opened Normal School would join the affluent Howe Street section of New Haven, neighboring homes were owned by wealthy and influential residents of the Elm City. The presence of the Normal School provided a barrier between the mansions of Howe Street and busy Oak Street.